This week we had a girls day for crafting. My Mum, sister in law and stepsister all got together for lunch, but before that we played with our craft supplies. We made hair stuff. Miho made a cute elastic hairband, Mum made some hair ties and so did I.
I never liked anything with even the tiniest hint of bling a few years ago, as I get a older I'm getting more comfortable wearing some sparkle. 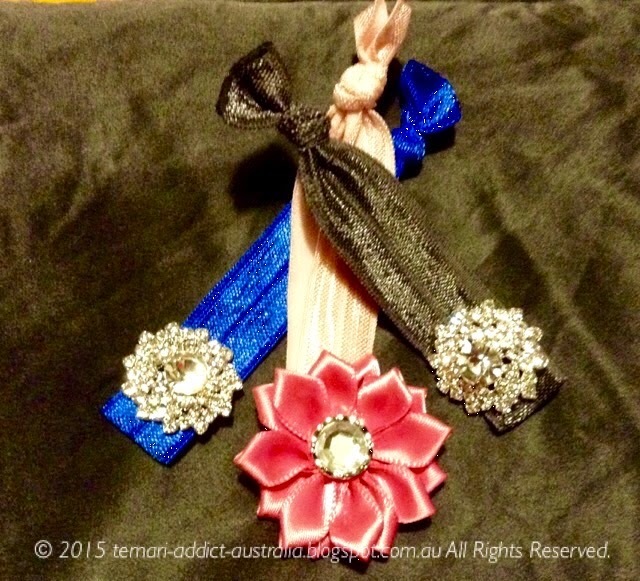 I made the hair accessories in the two pics above. 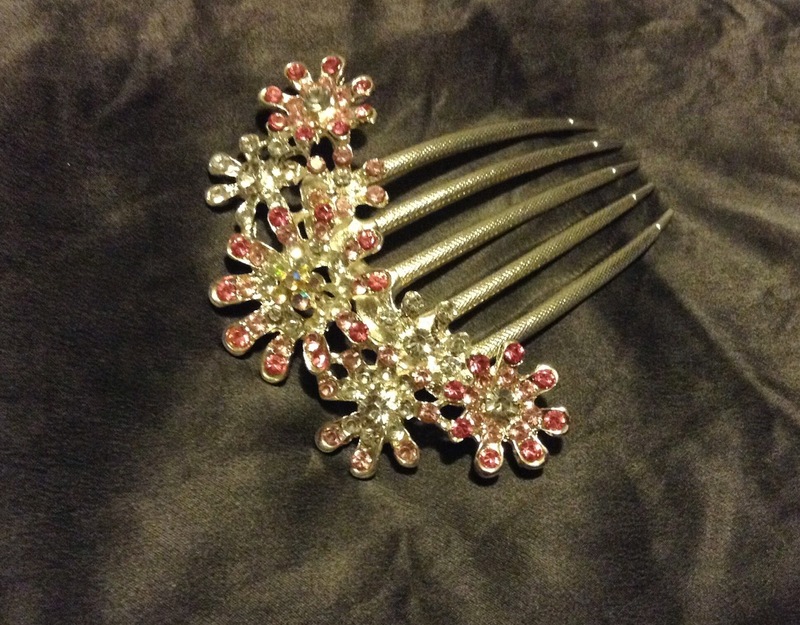 The hairslide below I purchased very cheaply but I do love it. I had been wearing those skinny elastics and kept finding my hair was breaking off. So now I have hair sticks, two of the slides below and the nice new soft elastic hairties. 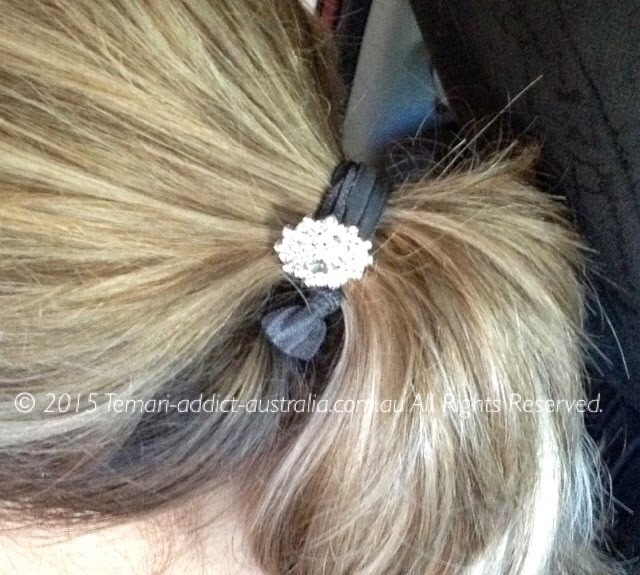 I am noticing a bit of a trend in my growing hair accessory collection.